East Grinstead's drain experts, for professional drain surveys & cctv drain inspections in RH19. Call our East Grinstead office on 01342 425 365 for advice and a FREE quote for a drain survey. Do you need a cctv drain survey in East Grinstead? If you're moving into a new home, or building an extension to your East Grinstead home or have persistent problems with your drains, it's a good idea to get a professional drain survey done. CCTV drain surveys, whether they are for domestic or commercial properties in East Grinstead, are the perfect way to determine the reasons for your drainage problem quickly and accurately. 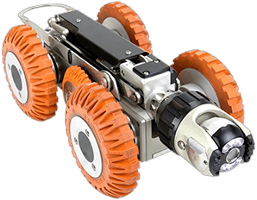 Our drain cameras can identify structural issues such as collapsed drains, root ingress, pipe scale, cracked or broken drains, incorrect installation, drain blockages and displaced joints. For a FREE quote or expert advice regarding choosing the right drain inspection or drain survey for a home in East Grinstead, please call 01342 425 365 or email info@draindetectives.co.uk. Why might someone in East Grinstead need a drain survey? A drain survey is a very important thing for anyone in East Grinstead or Forest Row to do before buying a new home. A cctv drain survey can identify the underlying reasons for surface water flooding into your East Grinstead home. Unfortunately, some East Grinstead homebuyers only find out their drains have structural defects once they've moved in and then have to pay lots of money for drain repairs. To book your drain survey, call 01342 425 365 or email our office in East Grinstead. What do we charge for a cctv drain survey in East Grinstead? This is a fixed price for a cctv drain survey with a full report at a domestic property in the East Grinstead area of West Sussex. What areas of East Grinstead do we carry out our cctv drain surveys? Our local drain engineers carry out cctv drain surveys and drain inspections throughout the East Grinstead area of West Sussex including Forest Row, Ashurst Wood, Lingfield, Felbridge, Turners Hill, Dormansland, Blindley Heath and postcodes: RH18 and RH19. Prices for a "quick look" drain survey in East Grinstead start from £100 plus vat. Do you need a build over survey in East Grinstead? If you are building a conservatory or any other extension to your home, the local water authority in East Grinstead needs to know, to ensure access to drains is not restricted. Why use Drain Detectives to do your drain survey in East Grinstead? Not sure where to start? Call our office in East Grinstead and an experienced engineer will advise you on choosing the right drain survey. We are proud to be members of checkatrade. We ask all of our East Grinstead customers to leave a review of our cctv drain survey work. Drain Detectives aim to give the best value for money price for cctv drain surveys in East Grinstead RH19, with fixed prices whenever possible. Over 90% of rat problems in East Grinstead and across the UK are because of faulty and defective drainage systems. So if you are hearing rat noises in your ceilings, walls and under the floor and the normal rat control methods aren't working, we can help. 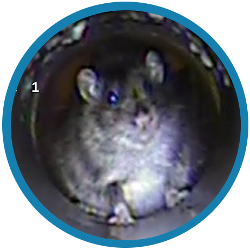 Our engineers in East Grinstead use the latest drain survey equipment, to identify any faults and defects, that would allow rats to escape from the sewers and into your home. What about commercial drain surveys in East Grinstead? We have done commercial drain surveys for housing estates, retail parks and large hotels in East Grinstead. If you think you may need a cctv drain survey or drain inspection, you have come to the right place. Call our office in East Grinstead on 01342 425 365 today for expert advice and a FREE quote!